If there’s someone who’s reaping all the rewards of blogging career (uy kumakarir na!) 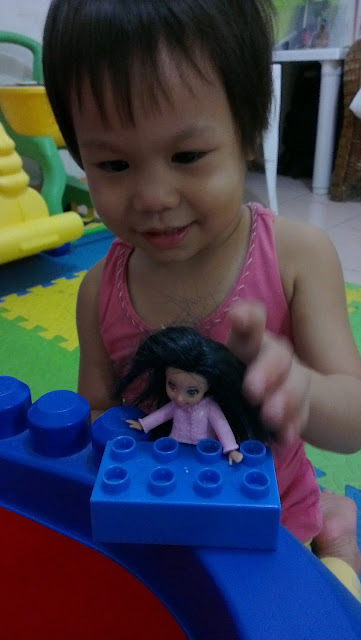 that would be the princess..
At first, I thought she would not enjoy playing with it because it is very small.. but I was wrong.. in fact we BOTH enjoyed playing it. Little girls really love play pretend! And we moms, love to play along! Polly Pocket™ Crissy® Positively Paris™ Doll comes with colorful clothes (perfect for warm or cold weather) also comes with shoes that the kid can mix and match. And it also comes with cute accessories perfect for a Paris trip! Polly Poket is exclusively distributed by Richwell Trading Corporation. Available in leading toy stores and department stores nationwide. For more information about other Richwell products, visit www.richwell.net or call Richwell Trading Corporation at telephone numbers 732-5141 to 47 loc 211.
oh my cuteness! so very cute and adorable Sati! Ang ganda, i don’t have girls, all boys kaya iba naman ang toy namin, puro cars. Kids just enjoy the toys. 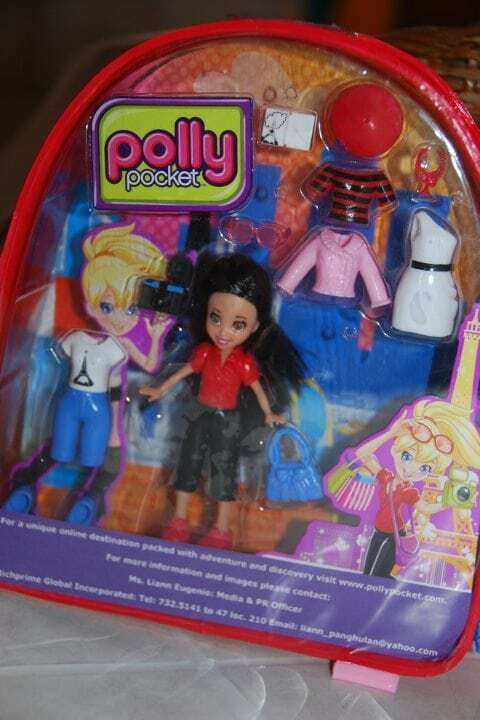 have you notices Polly Pockets back then was different from now no? cute and perfect collection for kids. Your daughter looked so entertained by it hehehehe. awwwwwww…such a cutie! and those are just perfect for her. oh she would probably love getting new toys every time you had the chance to get freebies! that’s what i wanted too for my kids. buying toys these days are quire cost a lot of money. I can tell she’s loving the toys 🙂 cute baby! 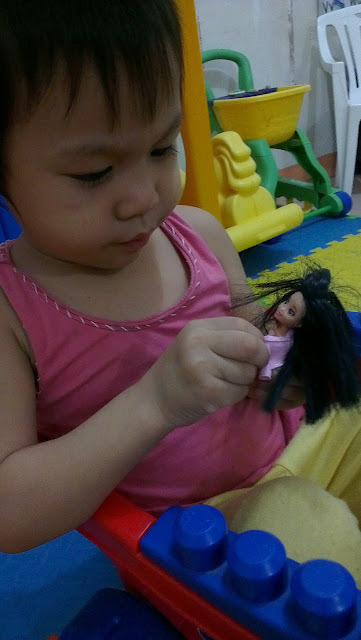 such an adorable girl… ang cute… i just hope my little zachy would get freebies like this when he’s big enough na hehe..
Ow wow, nice doll. For sure this is a one fashionable doll kasi Paris eh. one lucky girl indeed and looks like she’s enjoying her new toy a lot. These dolls are really cute. I deal for the little ones to enhance their creativity and imagination. Buti pa ang mga bagets may sponsor na. I love Polly Pocket back then.